Traders often compare forex vs stocks to determine which market is better to trade. Despite being interconnected, the forex and stock market are vastly different. The forex market has unique characteristics that set it apart from other markets, and in the eyes of many, also make it far more attractive to trade. When choosing to trade forex or stocks, it often comes down to knowing which trading style suits you best. But knowing thedifferences and similarities between the stock and forex market also enables traders to make informed trading decisions based on factors such as market conditions, liquidity and volume. Let’s take a more in-depth look into how exactly the forex market compares with equities (stocks). One of the biggest differences between forex and stocks is the sheer size of the forex market. Forex is estimated to trade around $5 trillion a day, with most trading concentrated on a few major pairs like the EUR/USD, USD/JPY, GBP/USD and AUD/USD. The forex market volume dwarfs the dollar volume of all the world’s stock markets combined, which average roughly $200 billion per day. Having such a large trading volume can bring many advantages to traders. High volume means traders can typically get their orders executed more easily and closer to the prices they want. While all markets are prone to gaps, having more liquidity at each pricing point better equips traders to enter and exit the market. A market that trades in high volume generally has high liquidity. Liquidity leads to tighter spreads and lower transaction costs. Forex major pairs typically have extremely low spreads and transactions costs when compared to stocks and this is one of the major advantages of trading the forex market versus trading the stock market. Read more on the differences in liquidity between the forex and stock market. Forex is an over the counter market meaning that it is not transacted over a traditional exchange. Trading is facilitated through the interbank market. This means that trading can go on all around the world during different countries business hours and trading sessions. Therefore, the forex trader has access to trading virtually 24 hours a day, 5 days a week. Major stock indices on the other hand, trade at different times and are affected by different variables. Visit the Major Indices page to find out more about trading these markets-including information on trading hours. Most forex brokers charge no commission, instead they make their margin on the spread – which is the difference between the buy price and the sell price. When trading equities (stocks) or a futures contract, or a major index like the S&P 500, often traders must pay the spread along with a commission to a broker. Forex spreads are quite transparent compared to costs of trading other contracts. Below you will see the spread of the EUR/USD highlighted inside of the executable dealing rates. The spread can be used to calculate the cost for your position size upfront prior to execution. There are eight major currencies traders can focus on, while in the stock universe there are thousands. With only eight economies to focus on and since forex is traded in pairs, traders will look for diverging and converging trends between the currencies to match up a forex pair to trade. Eight currencies are easier to keep an eye on than thousands of stocks. The variables that effect the major currencies can be easily monitored using an economic calendar. Whether you choose to trade forex or stocks depends greatly on your goals and preferred trading style. The table below shows different types of trading styles, including the pros and cons of each when trading forex and stocks. A trading style where the trader looks to open and close trades within minutes, taking advantage of small price movements. Traders can focus more on volatility and less on fundamental variables that move the market. As a result of placing more trades, beginner traders may lose more money if their strategy isn’t fine-tuned. Suited to forex trading due to inexpensive costs of executing positions. Some exchanges require large capital account balances to trade. 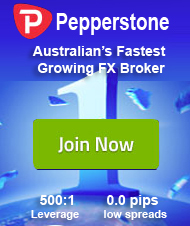 Most forex brokers only require you to have enough capital to sustain the margin requirements. A trading style where the trader looks to hold positions for one or more days, where the trades are often initiated due to technical reasons. Lower capital requirements compared with other styles because a trader is looking for larger moves. Trades must be accompanies with analysis which may take time. Suited to trading forex and stocks. A trading style where a trader looks to hold positions for months or years, often basing decisions on long-term fundamental factors. Traders do not have to spend as much time analysing. Large capital requirements required to cover volatile movements. Suited more to stock trading because the forex market tends to vary in direction more than stocks. If you are new to trading forex download our free forex for beginners guide. We also provide free equities forecasts to support stock market trading. How can I transition from forex trading to stock trading? To move from forex to stock trading you will need to understand the fundamental differences between forex and stocks. When you boil it down, forex movements are caused by interest rates and their anticipated movements. Stocks are dependent on revenue, balance sheet projections and the economies they operate in amongst other things. Find out more on how to transition from forex to stock trading. Are there any differences between forex and commodities trading? Forex and commodities differ in terms of regulation, leverage, and exchange limits. Forex markets are a lot less regulated than commodities markets whilst commodities markets are highly regulated. In terms of leverage, it exists in both the forex and commodities market, but in the forex market it is more popular due to greater liquidity and lower volatility (leverage can amplify losses and gains). Also, like stocks, commodities trade on exchanges. Commodity exchanges set roofs and floors for the price fluctuations of commodities and when these limits are hit trading may be halted for a certain time depending on the product traded. The forex and stock market do not have limits that can prevent trading from happening. Keep up to date with current currency, commodity and indices pricing on our top rates page. Also, see our expert trading forecasts on equities, major currencies the USD and EUR, or read our guide on the Traits of Successful traders for insight into the top mistake traders make. Previous: Dollar In Demand For Now, But….